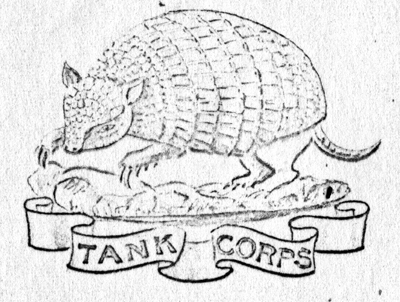 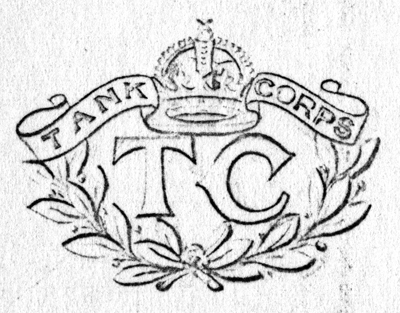 The Tank Corps was formed on 28th July 1917, and its new cap badge was approved by King George V on the 11th September. 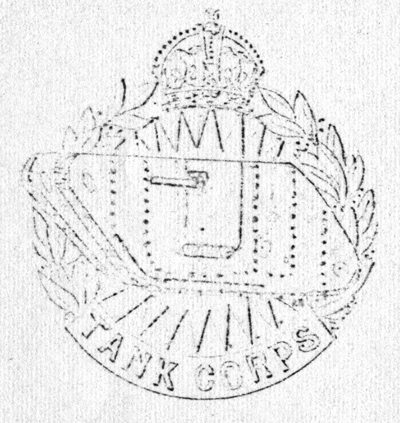 The badge chosen was one of twelve designs submitted. 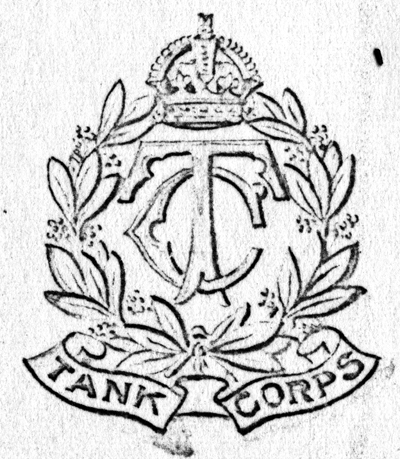 This article reveals, possibly for the first time since he saw them, all 12 of the cap badge designs presented to the King. 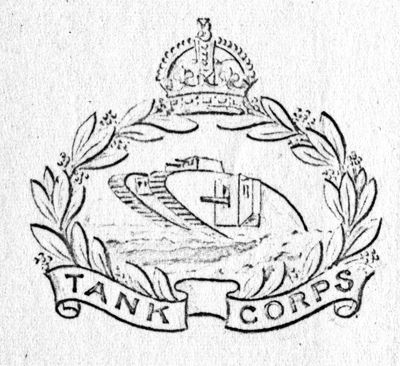 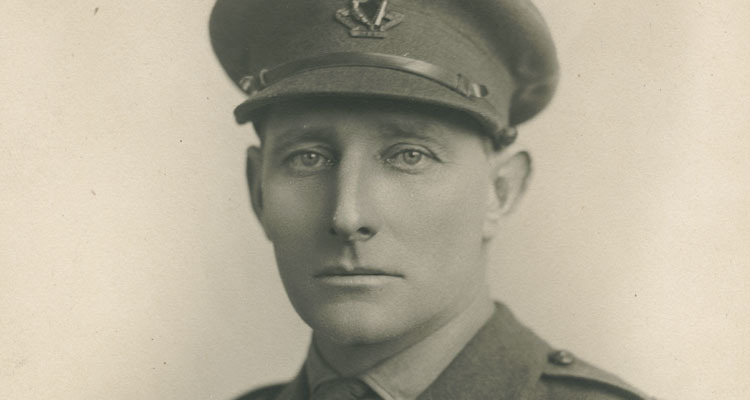 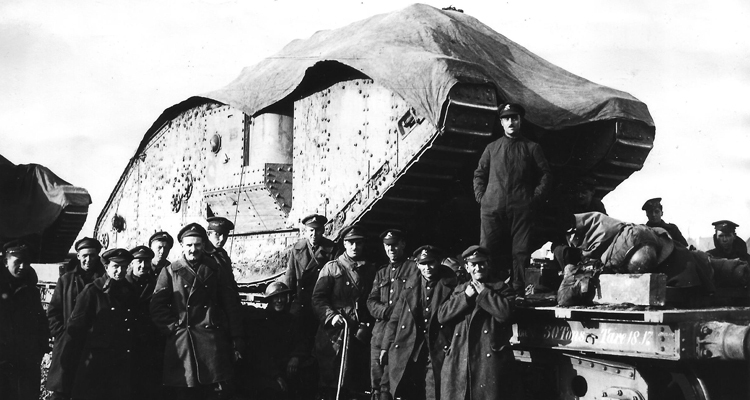 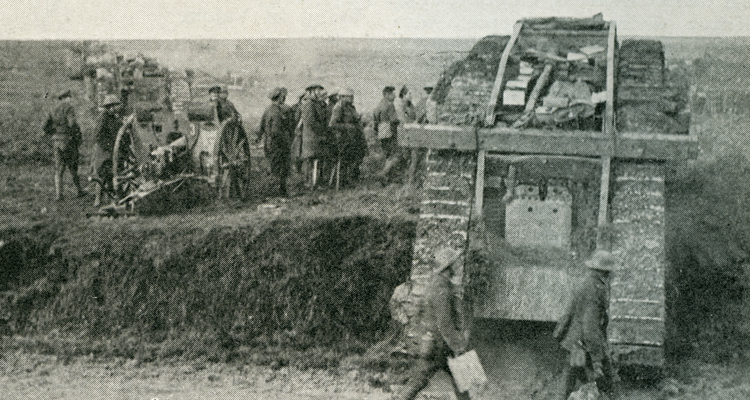 Read more about the formation of the Tank Corps here. 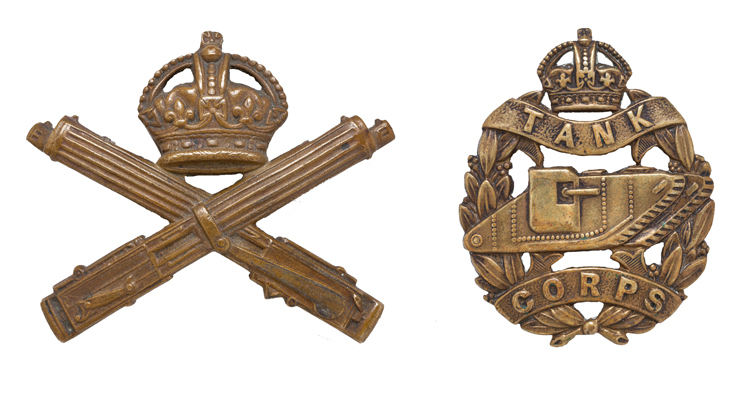 There were three main themes to the designs. 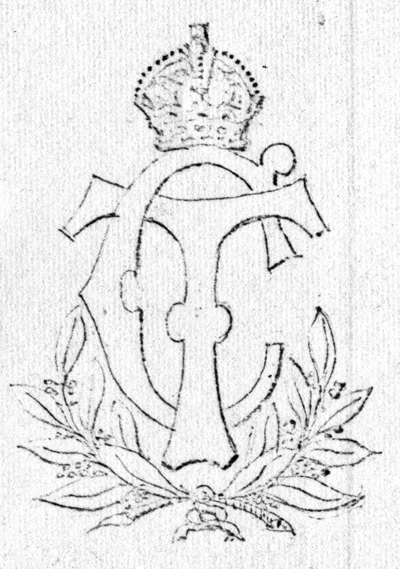 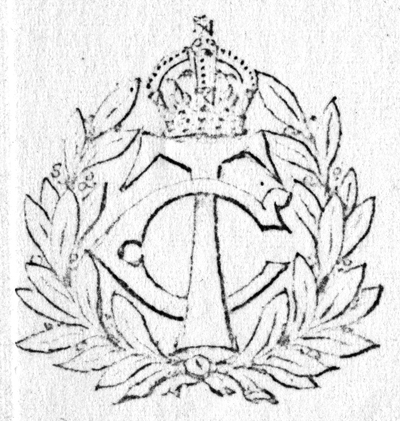 One used the letters ‘TC’, echoing the RFC badge. 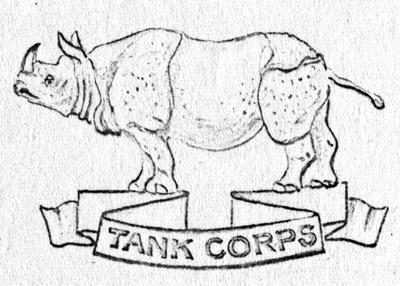 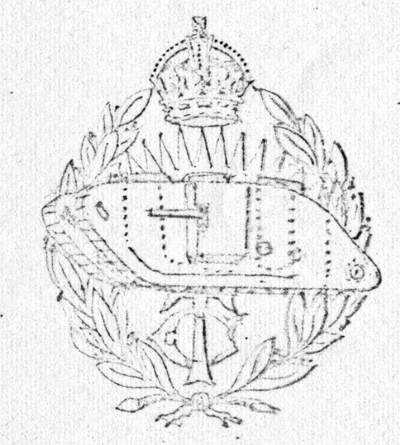 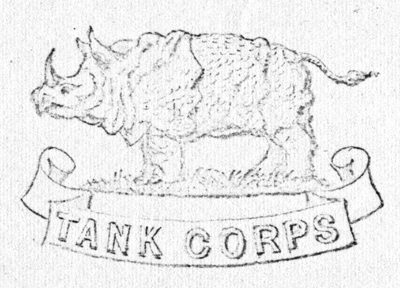 The second symbolically represented the armoured hide of the tank, using either the rhino or the armadillo. 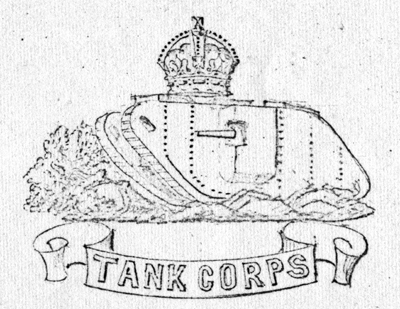 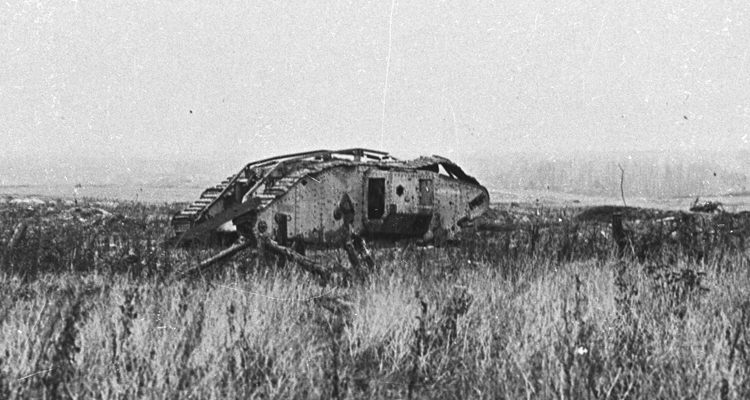 The third theme depicted this literally, with an image of the tank.